I received a free copy in exchange for an honest review. Many thanks to Rebekah and Jesse Teller! 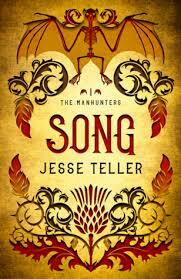 Song is a grimdark epic fantasy whose short length doesn't make it any less epic. It follows Rayph Ivoryfist, a thousands of years old wizard who was once the warden of Mending Keep and court wizard of Lorinth, and Konnon, a bounty hunter. The story is told in dual perspectives, with their paths starting to cross more towards the end until their connection to each other is revealed. There is a lot going on in this book. So much that I didn't really feel like it was short. It was packed to the brim with action, lore, and worldbuilding- so much of which that it made my head spin at times and reread some passages to make sure I understood everything. Was it enjoyable? Yes! Do you need to pay attention? Also yes. As I said there is a lot of worldbuilding here. There are ancient wizards, gods, spirits, monsters, other races, and more. Overall, the worldbuilding is quite good and I liked it. The characters were distinctive and if not exactly likable, then interesting to read about. Rayph Ivoryfist, for example, has lived for at least ten thousand years at the beginning of the book. The novel deftly incorporates parts of his past throughout the narrative which I appreciate. He himself is also interesting with regards to how he became a pariah and wanted man in the king's court. Despite all that, he remains loyal to the crown and wanted to see the boy prince grow up and be crowned, despite his blustering, weak, and cowardly father. The other character is Konnon. He is a bounty hunter whose name is quite well-known and seems to be regarded as a "monster" by some. Still, he is shown to us in a deeply human way- as a father desperately searching for a way for his sick daughter to survive. As with Rayph, the novel also gives us a lot regarding Konnon's background. The tone is decidedly grimdark. The worldbuilding, the lore, the writing, and the pacing are all mixed together to create a dark, oppressive feel that hung through the book. All the gloom were still balanced by the hope that we see towards the end. The opening chapters involving Rayph feel a bit like vignettes, introducing us to the people who would come to form The Manhunters, with the action ramping up halfway through. That is not to say the entirety of the book is not filled with action. It is. There are a lot of fight scenes which I thought were well executed. Overall, Song is a good grimdark epic fantasy. I can recommend it for fans of the subgenre and people who want to try out the subgenre. Daughter of Shadow follows Melea, a warrior who serves Emperor Anathasius, the Lord of Light and Living God of the Shining Empire. She is a tool for his vision and is tasked with carrying out his will. Melea is an interesting character. She is clearly tormented by her past and suppresses her memories which later resurface. While clearly powerful, she is also prone to making mistakes and bad decisions. She is not perfect and she's also not infallible. As a fan of imperfect characters, I like her. She knows she is a tool and still holds up hope that her emperor may not view her as an object and actually value her. Her deep desire for acknowledgement and to be valued is clear is made clear as well as her want to not disappoint. Daughter of Shadow follows several POV characters, not all of whom were given an equal number of pages. As such, it can sometimes feel uneven and there were some characters I didn't like reading the POV of, such as the priest Belenus. There were also some characters whose POV I wanted to see more, such as the Emperor's. While I enjoyed Queen Ritika's POV, I sometimes wondered what her POV contributed to the plot overall. Maybe build-up for the next one? I don't know. Still, I did like her point of view and she was an interesting character. My favorite characters would be Melea and Ritika. Ritika, while the queen of her native land, is also young and somewhat inexperienced. However, I appreciated the fact that she does not let this hinder her. She remains in control and has a lot of agency. She would remind everyone that she is the queen and I liked that she stood up for herself. I'm intrigued by the character of Emperor Anathasius. The entire time I felt like there was something more to him and I would have loved to see his character and backstory explored more. The writing tends to be well-paced for the most part, with some tedious moments depending on the point-of-view. It's also pretty descriptive which helps me imagine the world better. The worldbuilding is rather good, with a deep religious component regarding the Shining Empire. I liked that the empire had this utopic facade with dark undertones feel to it. Overall, I liked Daughter of Shadow. It's an epic fantasy that's easy to get into and has a large cast of intriguing characters. Toric's Dagger starts off with a bang. Or rather, a heist. It introduces us to Belwynn and Soren, two twins who have the ability to communicate telepathically, and the group of people they work with. The opening chapters also serve to familiarize the reader with the group's dynamics and their roles. Be warned though: the first chapters are nothing like the rest of the book. By the time the heist arc is finished, the rest of the story unfolds and becomes more epic in scope. We are introduced to princes, would-be-kings, kings, and even an emperor. The politics that come in later were a nice surprise, and I really enjoyed how all the plot elements were introduced. 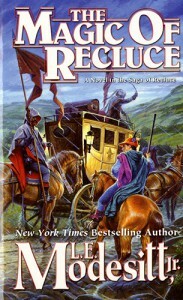 Because the main plot revolves around the retrieval of a dagger, there is a lot of traveling in this book. While traveling in a lot of fantasy books can be tedious if not done well, I didn't have a problem here as the story is pretty action-packed. There are no long scenes full of navel-gazing, but there are dangerous road encounters and enemies lurking around every corner. The main plot reminds me of an RPG fetch quest- if said fetch quest features a lot of twists you didn't see coming. This isn't a straightforward story in which a dagger is taken and must be retrieved. There will be surprises. The writing is fast-paced and conveys the action very well. However, there were some typos and possible grammatical errors. Those are far and few in between, however, and didn't impact my reading too much. While there, the prose and dialogue are pretty okay and does its job well. As much as I enjoyed the plot and the twists, the main thing I liked was the characters. I loved Soren and Belwynn and the rest of their motley crew also intrigued me. The characters have some interesting backstories that I want to see explored more and I also want to see where each character's arc would take them. One more thing is that this book features a lot of women characters. There are women who are heroes, women who are villains, and those who lie in a somewhat gray area. I really liked how they were portrayed and how they seemed to be believable characters. All in all, I really liked Toric's Dagger. I think it can be a good gateway to high fantasy considering its shorter length at 321 pages. I really wanted to like this book. I spotted it in a used bookstore and bought it because of the publisher and the fact that I was vaguely aware of the author. Unfortunately, while it was mostly okay, it was also so boring at parts that I had to skim in order to finish the book. I would classify this as kind of a slice-of-life fantasy. While it is undeniably set in a fantasy setting, it also features the characters doing more mundane things such as woodworking. I did appreciate this moments because they give a glimpse of how the characters live and how they get by in their society. Our protagonist is Lerris, a young man who happens to be incredibly bored with his island-nation of Recluce, a land which favors order above all things. Because of this, he is unable to fit in within Recluce and must undergo something called a dangergeld, in which he would be tested and the masters would see if he may return. At the beginning of the book, I found Lerris to be very edgy? He pretty much questions everything and is unable to reason out his boredom properly. He definitely struck me the wrong way since he was born into so much privilege but was unable to see it. He does get better though, as he goes through his dangergeld. He becomes a better person in a lot of ways, although I wonder if he did learn other, just as important lessons along the way. I did enjoy the description of how he traveled in the mainland and had to get by. I usually like the travelling parts in stories so that wasn't the problem for me. The problem mostly came from the fact that the ending felt pretty rushed. It was like the author wanted to wrap it up in one book and escalated everything near the end. The build up didn't really feel natural and I might have forgiven it if it wasn't boring. Unfortunately, much like the main character, I too found myself pretty bored with the world. While the order vs. chaos thing had a lot of potential but it failed to grab me. I read that this book can be read as a standalone, fortunately. While I was disappointed and thought that this book is only good enough for one read, I might consider picking up other books in the series. Honestly however, that might be unlikely. I'll admit it- I seem to have a harder time reading short story collections than novels. Or rather, it takes me longer. There's something about the self-contained nature of short stories which can often make me too lazy to finish the entire book. The Draco Tavern is unique in the sense that while it is a collection of short stories, it is also the story of the titular tavern and its owner, Rick Schumann. It presents self-contained, yet cohesive stories of understanding between different species and intergalactic cultures. The best description I can give comes from a quote from the book itself. "The Draco Tavern isn't just a pub. It's how humanity interacts with at least twenty-eight sapient species throughout the galaxy. Somewhere among these trillions of alien minds are the answers to all of the universal questions." There's a lot to like about The Draco Tavern from the mysterious Chirpsithra, long-lived and claiming to own half the universe to the tavern itself, alive and full of energy that comes with interacting with a myriad of different species. Some of the stories can be slow and rather philosophical such as the ones contemplating the human existence to ones in which our hero participates in adventures like going hunting with the Folk. The writing suits the kind of story it presents. It's written in the first-person point of view and the narrator adapts to the kind of tale he's telling. For example, in the stories where aliens start talking about philosophy and the nature of the universe, the narrator also contemplates the topics. The stories can be read as standalone, although there are some which reference certain events in other stories. I actually found them to be more enjoyable that way, considering that I read short story collections the same as I do novels. 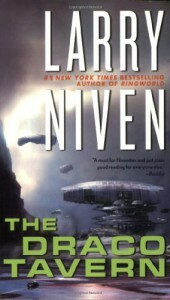 I recommend this book for fans of science fiction and for those who like short stories. My introduction to the mystery genre came not in the form of a traditional novel, but a visual novel called Umineko. A rather large part of Umineko centers around a murder mystery sometimes involving a locked-room. I read somewhere that the said VN draws a lot of inspiration from Agatha Christie's And Then There Were None, which I am yet to read. Since I read that, I wanted to read Agatha Christie and now, I am. 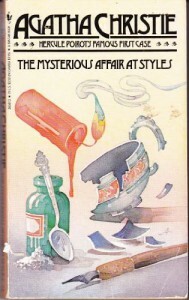 The Mysterious Affair at Styles is her first book and introduces retired Belgian police officer turned detective, Hercule Poirot. I believe it also serves to introduce readers to her style and several tropes she uses in her works. These tropes include a locked room, red herrings, and the so-called "final link" which points to the murderer. While I find a lot of classic fiction to be hard and even tedious to read, Agatha Christie's writing isn't too formal as to be a chore. She makes use of different speech patterns in dialogue which lends a lot of distinctiveness in her characters, particularly Hercule Poirot, whose personality and eccentricity I found interesting to read about. The murderer wasn't too difficult to figure out. I thought it was pretty obvious who the murderer was. Still, the usage of red herrings and a long chain of clues made the book enjoyable and still thrilling to read. The Mysterious Affair at Styles may be easy to figure out as a mystery, but I found Hercule Poirot's character enjoyable enough that I want to see his other adventures. Besides, this is only the first of Agatha Christie's extensive bibliography. I definitely will be reading more. The book centers around Maddie, an NPC who accepts a quest in exchange for a lot of credits. I've never heard of an NPC taking quests so that was a new one for me. It seemed that in this world, NPCs have some degree of sentience. They are also aware of their "visitors" or players from the real world. The premise is very unique, especially seeing how aware Maddie is of her own programming. The book is very short, clocking in at around a 100 pages, making it more like a novella. Still, it was pretty tightly paced and focused on the story which makes the world-building feel a bit lacking. The RPG mechanics aren't very well explained besides a health bar and some buffs. What I enjoyed ultimately, is Maddie herself. She's very aware and tries to fight back against the personality and characteristics the programmers forced on her. Still, even though she does try to fight back, sometimes she simply cannot help it. I wonder if she's actually one of those NPCs who are supposed to be the player character's love interest? The book is tightly focused on its narrative and the two characters. There is insta-love in this book which was explained as a consequence of Maddie's own nature as an NPC. That was very interesting since the insta-love here actually has a reason as to why it exists. My main gripe here is that it's so short. It's more like an introduction to the world. Still, as an introduction, it does its job well enough to make me want to read more. This was a really fun book. I'm not usually a fan of urban fantasy and shifter stories but this one had a really unique premise that intrigued me. Basically, the protagonist, Jane Doe (weredeer love puns apparently) can shapeshift into a deer. When I first saw the description, I thought, well that's new. That isn't exactly something I get to read everyday. I Was A Teenage Weredeer is so full of teenage angst, hijinks, and lingo that I sometimes can't help but remember that my own teenage life had been so stifled in favor of college and academics that it can be a struggle to relate to other teenagers. Jane Doe, for one, happens to be my age. Still, while I personally cannot relate, she remains a fun character to read about. She's cynical, she's snarky, and she says what's on her mind. Sometimes she ends up coming across as a bit insensitive and she and her best friend Emma can be seen cracking jokes at inappropriate times. There's a lot of banter in this book, a lot of them sound natural for the most part, some seem to be awkward for the scene. There's also a lot of references to pop culture, which I'm usually not a fan of, but it's not overly distracting. As for the writing itself, it flows nicely and doesn't make it seem too obvious that it was written by two different authors. The plot itself is good and well-paced. It starts off with a murder mystery involving her best friend's sister who she doesn't particularly like. From there, it branches off into different directions, involving twists and secrets that I didn't see coming. It's rather short so there isn't any filler and every chapter advances the plot. The characters are mostly okay, they don't come off as caricatures or cliches. Most of the characters have some twist to their personalities which I also like. Some romance is hinted in this book, which I'm not a fan of. I don't like insta-love and the instant attraction would be off-putting if it was more overt. Luckily, it wasn't really a big plot point so it didn't bother me too much. That said, I did enjoy this book and I might read the next one. This was a really enjoyable read. It's set in a small town so it makes for a nice break from sprawling epic fantasies. In fact, I was actually starting to be afraid I was going to burnout on fantasy so reading something smaller, more personal, and more mystery driven was just what I needed. The book centers around the small town of Balam where a mysterious epidemic is killing the town's residents. It started when the town's previous white mage died and continued as a retired mercenary, Ryckert aids the new white maage Aava in resolving this mystery. Along the way, the book also shows several of the other characters in the town as they try to process what was going on. In some novels which center around a mystery, I have to admit (to my shame), that I would often glance at the ending so as to not be surprised. I didn't do that here. Instead, I kept reading to find out what happened. To say the least, the cause was actually something both beautiful, tragic, and outright terrible. There were tears shed near the ending, and there are some scenes which I found to be beautiful and poignant. The characters here feel real in both their personalities, their relationships, and their lives. There are characters who are straight, bisexual, gay, and lesbian and each of them feel real and seamlessly integrated into the world. Their relationships are both beautiful and sad, or even ugly. There are familial relationships, friendly relationships, and romantic relationships, and each of them were depicted beautifully. I enjoyed the small town setting. As someone who has lived in a city her entire life, I found it to be very charming, a kind of quiet setting, and a very good break from world-changing stories. A small town's struggle in the face of an unknown epidemic made for a compelling story which I really liked. I highly recommend this book. It's nicely paced, more slice-of-life than epic, but contains a poignant story which I think anyone can enjoy. I told myself I want to read some old, classic fantasy and get a feel for how it was written in the late 19th century to the the early 20th century. Turns out, it suffers from something that I really dislike about a lot of classics: the writing feels really dry. As such, what should be a short read took what seemed to be forever. Nevertheless, The Gods of Pegana presented a really interesting mythos with the creator being a sleeping god who will destroy the world when he wakes up. It is a pretty imaginative pantheon of deities with quirks and prophets and interesting stories. Unfortunately, it reads like one of my law books. I read somewhere that Lord Dunsany influenced a lot of later writers and fantasy, J.R.R. Tolkien included. I’ll have to read the Lord of the Rings and The Silmarillion first to see that but I honestly won’t be surprised if I do see it. I would love to see more stories in Lord Dunsany’s mythos, maybe even read more of his short stories. 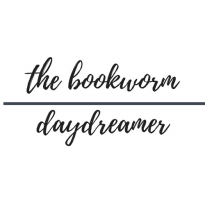 I’m just hoping I’ll get over the writing style soon because I still have a lot of old fantasy on my TBR and I’d hate to be turned off by something very good because I don’t like how it was written. Still, modern stories in the mythos would be something I’d like to see. I really want to know if there are other writers who wrote about this characters and/or in this setting. Please comment if you know any! From the moment I saw the pitch of selling emotions, I was immediately intrigued by this book. I tend to like cyberpunk in other media but somehow, I've never read a book with that kind of premise. The world presented in Drones was good, it was believable and presented a good setting for the story. There are the usual tropes in cyberpunk like corrupt governments and evil corporations but I didn't really mind. It still fit the story. I really enjoyed the story. Each chapter starts with the description of an emotion and the narrator comments on how it sells. It shows me Garrick's line of work and how it affects his day-to-day life. In the beginning to middle sections, he basically sells or gives away every emotion he feels. As he loses access to the technology, I can almost feel his withdrawal and how much he relied on the technology. Due to his backstory (which I won't spoil), I can really understand why. There are a lot of tense moments in this book and there are a lot of twists which I didn't expect to happen and a couple of those which I did. The writing was good, it was fast-paced and never boring to read. The narration fits the character's thoughts perfectly and fits as his character changes. The ending was good, although I did feel a bit unsatisfied as I wanted to see how the character's actions later played out. Still, I enjoyed it. All in all, Drones is a good fast-paced read. Recommended for fans of cyberpunk. Prior to this one, the only Sherlock Holmes story I've read was A Scandal in Bohemia. I haven't watched any Sherlock Holmes related tv series or movies either. I was aware of them, but I didn't watch them. I like plots with mysteries but I'm not particularly well-versed in the genre itself. Still, I told myself to give it a try, especially because my favorite subject happens to be Introduction to Criminal Law and I tend to find criminal cases engrossing. A Study in Scarlet was a great introduction to the genre. It had twists, a criminal that wasn't who I expected but nevertheless had a strong motive, and a great detective in Sherlock Holmes. The first part was thrilling and it establishes the characters of Dr. Watson and Sherlock very well. I liked how it also introduced Sherlock Holmes' brand of reasoning. The science of deduction seems very interesting if a bit confusing. The second part is very very different from the first one. It becomes a drama which tells us the accused's history and gives a background as to his motive. I don't want to speak about the religious aspect as two of my closest friends belong to that religion and I have no opinion to offer on that front. 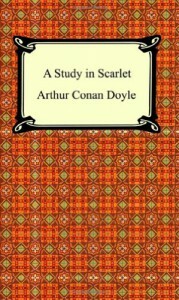 Still, I liked A Study in Scarlet for what it was and I'm definitely going to be reading more of the Sherlock Holmes novels and stories. The Holtur Curse was a pretty fun read. I enjoyed the characters, their motivations, and their relationships and the development thereof. While I haven’t read a lot of old pulp fantasy, this is what I imagine reading a Sword and Sorcery tale would be like. 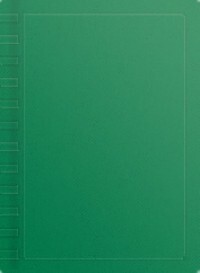 The book is the second in a trilogy but can be read as a stand-alone. I haven’t read the first one and the story held up well. The world building pretty much does its job. It’s set in a place where people called slayers protect their home, Holtur, from beasts. That is, until they had to kill men like them. That conflict was very interesting because I can really see how reluctant the slayers are to kill people. Reading from Sonja’s point of view shows how conflicted she was and how she ultimately decided that she had to do it. The writing is also functional being a bit jarring in places and it does have some moments where the dialogue felt a bit modern. While it was noticeable, it didn’t really hinder my enjoyment too much. The pacing can also a bit off, sometimes going too fast that I can get a bit confused as to what was happening. I also liked how the book starts alternating between the present and the past. It was a neat presentation and I liked how it was handled. Sonja was a great protagonist. She cares about her family, her friends, and her home and I can really see her determination in fighting to preserve it. She’s also human and can make some decisions she regrets. Mostly, she’s portrayed as a strong, female protagonist and I enjoyed her POV. The only real problem I have would be the villains. They were introduced a bit late and I felt like they could be better developed. One of them did have an interesting motivation which could have been expounded upon more. Overall, I liked The Holtur Curse. 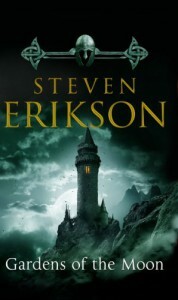 Its Sword and Sorcery feel sets it apart from the other books I’ve read so far and it’s highly entertaining. Something I love about YA Fantasy is how fast-paced and easy they are to read. It makes for the perfect go-to after something that's longer and long-winded due to the tighter character focus and faster pacing. 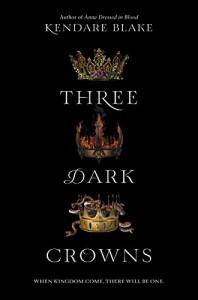 I read Three Dark Crowns and the sequel One Dark Throne in a single day and loved them both. Three Dark Crowns is perhaps the dark YA Fantasy I've been craving. A story about three sisters having to kill each other for a crown? Sign me up! (Side note: I have two younger sisters and no, I would never want to kill them for a crown no matter how annoying they can get.) The setting is pretty dark and vivid, and kind of depressing too. I love how it started and how it ended. I do have one gripe about the setting. It feels very European for something set on a mystical island separated from the mainland. I felt like more could have been done to emphasize how different it is but it wasn't there. They talked about looking like a mainlander without telling us what a mainlander looked like. Anyway, that's just a minor gripe. The sisters themselves were the highlight. I loved how different they were and not once did I feel that they're same-y or that they sound and read the same. Mirabella, Arsinoe, and Katherine were definitely the stars of the show although the first two I liked more than Katherine. I just didn't connect with Katherine as well and I didn't particularly care for her romance either. Well to be fair, I didn't care about Mirabella's romance either. The only one I liked was Arsinoe's. The magic is very interesting because it's very much soft magic system. Rules aren't exactly explained except that they were given by their Goddess. There are bits about the island's history and culture which I found to be interesting but could have been explained better and I did wish was expounded upon more. Except for the quirks which were the hook of the book, it felt too European for me. There are some politicking involved but I can't help but wish there was more. The sisters felt like pawns, instead of queens. I honestly expected more about the politics and I wished they were taught that more instead of simply killing. It felt like a wasted opportunity. Overall, it remained enjoyable. It's a nice, quick read and while I've definitely read darker books, it's a nice change of pace from the usual YA Fantasy I've gotten used to. Before I even started this book, I was already aware that it had a reputation for being pretty hard to understand. I knew that people liked it because it doesn't hold your hand and does things naturally. Turns out, as someone who's only started getting into adult fantasy and older fantasy, I like hand-holding. I don't like spending the majority of my time getting confused and then getting a migraine while I read. Maybe I should have paid more attention to the details but that's hard to do when you're getting bored. To be honest, I really struggled with this book and I would have DNF-ed it if it wasn't for Darujhistan, Sorry, Tattersail, and Captain Paran. As much as I liked the latter three characters, I also realized that fantasy which leans pretty heavily on the military side of things may not necessarily be my cup of tea. The Darujhistan crowd were really what made this book enjoyable for me. They are a fun bunch with their own quirks and their antics and arcs were very compelling. Most of them weren't really aware of the Malazans, it's more like they know they're there, but they have their own things going on. Except maybe one or two of them. The writing serves its purpose, it's not overly descriptive and it feels functional at times. I did like how some scenes were broken down in certain chapters. It sometimes felt a lot like a movie you're reading. The magic system in this book looks interesting but is kind of a headache to understand. In the end, what I really enjoyed wasn't the plot itself, but the characters and their interactions. The bits which made them seem more human in their relationships, their friendships, and quests for revenge. It made them seem more relatable and less characters you see on the page. As much as I complained about the headaches this book gave me, I'm still willing to give the series a chance someday. Maybe when I'm older and have read more fantasy. Then I'll give this book a re-read and continue. What an enjoyable ride! I really enjoyed this one. It's fun, fast-paced and had lots of action. Ses was a great protagonist and I liked seeing the world through her eyes. I found her to be a compelling and interesting character which made me care about her and her story. I actually started this today and finished it just a few hours later. I couldn't put down my iPad, it's how engrossing it was. The book starts off in The Pit, a place at the planet's core which apparently housed a sort of magic school for smiths and temples to the gods. However, the gods in this story have been imprisoned for hundreds of years with The Pit serving as their prison. There is a fascinating blend of magic and technology which I thought was very original and interesting. However, the most interesting part of the story was the cities which were housed in the bones of monsters the humans slew in the war. The story in this stayed personal, which makes sense considering that it's a first book and Ses was just starting to understand the implications of her world and her heritage. It takes place in the timespan of less than a week, which contributed to the fast pacing. However, the series will apparently become more epic in scope and add POV characters as it progresses. For now, I enjoyed the story as it is. It's not difficult to understand given that the lore and world-building is well-spaced out and there was little to no info-dumping, and there was a very small cast of characters. The story pretty much revolved around Ses looking for her father which is more interesting than how I make it sound. There are a few twists which I didn't see coming, but also made sense. The ending does make me ask a few questions which I believe would be answered in later installments. Whatever the case may be, the ending definitely sets the stage for expanding the scope. I'm looking forward to reading the sequel. I enjoyed the setting, the world-building, and the story. It's very fast-paced and there aren't any parts which dragged- hence why I finished this in less than a day. I highly recommend this book for people who enjoy unique settings and stories!